Godzilla is full of problems, but the 20,000 ton radioactive lizard isn’t one of them. He’s basically a co-star in his own movie. Check out this supercut of every Godzilla scene in the movie. Its total run time is 7 mins 57 seconds for the entire 2 hour 3 minute movie. It felt like a two hour sneak peek. 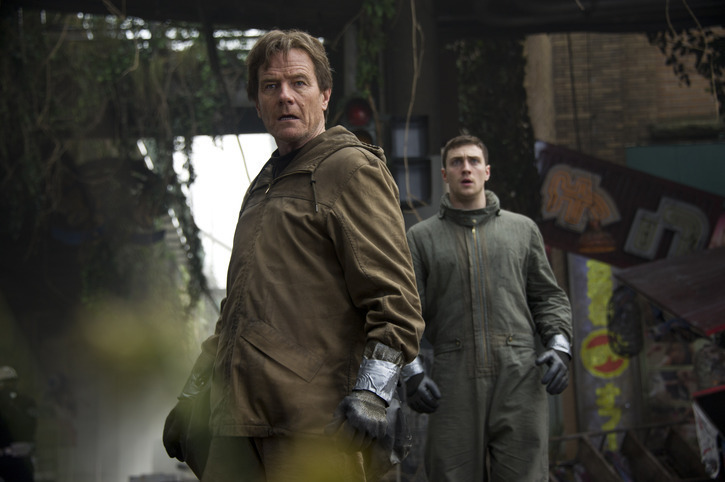 Even with its multitude of problems, the biggest tragedy in Godzilla was killing of Joe Bordy (Bryan Cranston) in the first 40 minutes. WHY? He’s by far the best thing about this film. Imagine if Lebron James only got to play during the first quarter of a game – it makes zero sense and his coach would be fired. It makes even less sense after Cranston delivers his ‘I Deserve Answers’ scene. He’s paranoid, angry, sad, and emotional all at the same time. I love this scene and this movie doesn’t deserve it. Cranston delivers more emotion during his 1 minute interrogation than anyone does in the entire movie. Can you hear the pain in his voice? Nobody in Hollywood can yell-cry better than Cranston . Nobody! Walter White is somewhere up in heaven smiling. Posted in Clips and tagged action, Bryan Cranston, Godzilla, good scene bad movie, Lebron james, sci-fi, Walter White. Bookmark the permalink.